Once upon a time, on April 3rd probably in the 90’s…we’ll say in California because that’s where weird stuff comes from–a magical thing happened. Jack and Diane two young kids who were doing the best that they can working as tech workers were walking in a park near Silicone Valley. At least Diane was doing the best that she could. Jack was having a little trouble empathizing with people who didn’t understand the complexities of technology. Just then a tiny figure darted by them. “What could it have been?” you may ask. Well, I’m glad you asked… It was a weasel carrying something mysterious in its mouth. Jack and Diane slowly crept past the shelf with action figures, through the corridor of mysterious tech gadgets of old, and finally into the IT command central. “How in the world do you know that, Diane?” asked Jack. “Because, Jack, he didn’t leave you any cheese!” Diane proclaimed with a smirk. 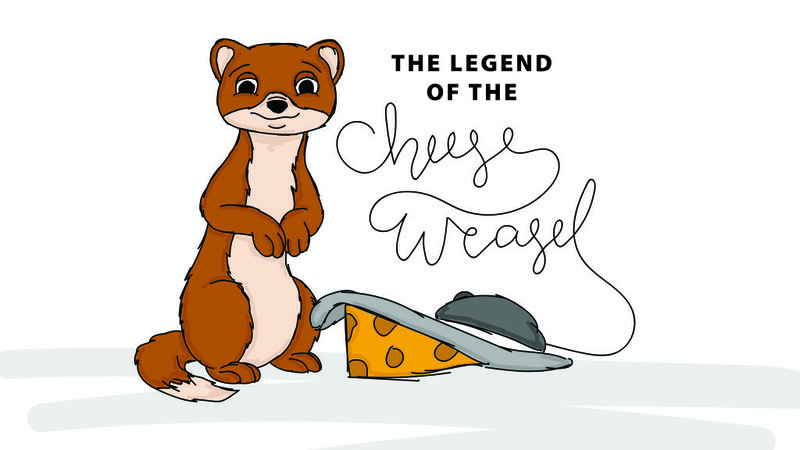 And thus began the legend of the Cheese Weasel. People say he comes and brings cheese to good tech support workers every April 3rd. But it’s hit or miss. Some workers get cheese, others, like Jack, get a practical life lesson about customer service.